Roses are a classic gift or decoration, regardless of the occasion or Holiday it’s used for. They always promise to make an impression, especially when offered without any special occasion. Offering a single rose flower, especially a single red rose is a sign of passion and love, the Lovers’ Flower. A single white rose conveys pure feelings, while a single pink rose cries out “I like you”. 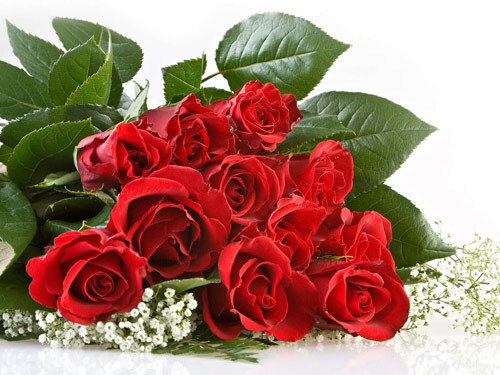 A rose bouquet composed of a dozen red roses conveys messages such as “I love you” and “Be mine”. 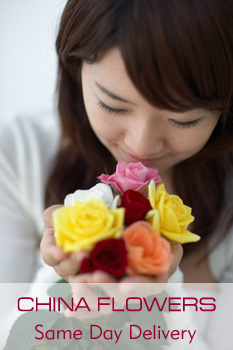 Offer a rose bouquet on your 15th anniversary, as this is the flower celebrating this occasion. Offer a 25 rose bouquet if you want to say “Congratulations”, or 50 if you want to show someone your infinite love. Also be careful when accepting roses. If you do so with your right hand, you convey agreement with that person’s feelings, if you do so with the left one, you convey disagreement. When choosing or creating a rose arrangement for your home, it’s best to stick with clean rose arrangements (a dozen or two dozen of roses, in different color palettes, also mixed with greenery). Your decoration of roses is looking so beautiful. I am really inspire about your work.